Screenwriter Bill Holderman who assisted Michael Arndt in the cinematic adaptation of Bill Bryson’s novel A Walk in the Woods, shows his adept hand at directing in the star studded Book Club featuring some legendary Hollywood stars including Oscar winners Jane Fonda (Coming Home, Klute) and Diane Keaton (Annie Hall) along with Candice Bergen (Gandhi, Rules Don’t Apply) and Oscar winner Mary Steenburgen (Melvin and Howard). The four female leads play lifelong friends who form a Book Club based on their mutual love for Erica Jong’s scandalous seminal feminist novel Fear of Flying published in 1973 which controversially delved into female sexuality. Over forty years later, the four friends played by these wonderful and still radiant stars, reunite and discuss the Fifty Shades of Grey trilogy. In an ironic twist of casting, Don Johnson, father of Dakota Johnson who stars in the Fifty Shades Trilogy is featured as Jane Fonda’s character Vivian’s love interest Arthur, as he attempts to repeatedly woo the wealthy Californian hotelier. Certainly, Book Cub is aimed at a particular demographic and age group, but what is so refreshing to see is that all these actresses appearing together onscreen in another female driven narrative comedy which is an older, yet quite different version of the all-female cast of the recent Oceans 8 film. 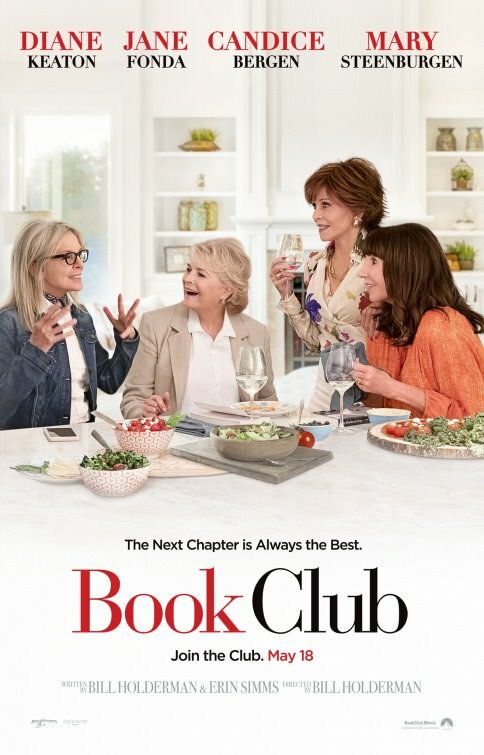 Set mainly in California and Arizona, Book Club is surprisingly enjoyable (even if you are not a wealthy American woman over the age of 70) but it is important that these films continue to be made as it allows older actresses to dazzle viewers onscreen. And speaking of dazzling, Jane Fonda at 80 years old looks absolutely gorgeous and truly holds her own in this sparkling film as does Diane Keaton as she creates perfect onscreen chemistry in the scenes with her macho pilot Mitchell played by Andy Garcia (The Godfather Part III, Kill the Messenger). 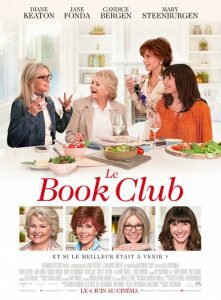 As the Book Club ladies, over bottles of Chardonnay, reassess their love lives in the light of literary stimulation courtesy of Fifty Shades of Grey, Book Club remains a charming, whimsical film about finding or reigniting love in the evening of one’s life. All the leading ladies look more like Fifty Shades of Gorgeous and certainly Book Club is highly recommended as a 21st century re-examination of female sexuality framed by a contemporary social movement which is increasingly dominating pop culture – the MeToo Movement, making this film all the more relevant. Book Club receives a film rating of 7 out of 10 and audiences should see it to witness the fabulous Jane Fonda shine onscreen again like she did in Paolo Sorrentino’s superb 2015 film Youth.